One of the best features of membership of the EU has been the improvement of environmental standards: countries coming together have signed up to ensure joint responsibility and protections to our environment. 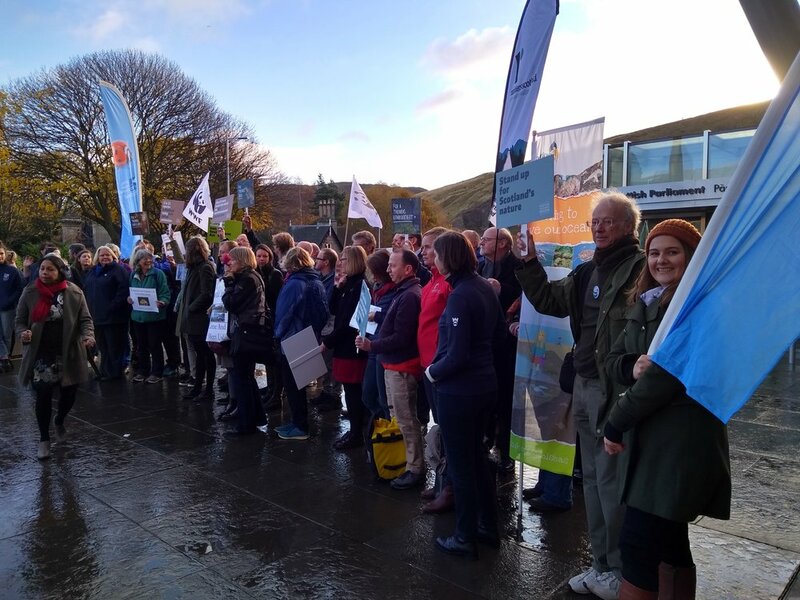 The uncertainty of what Brexit will mean for our environement today brought representatives of a wide variety of Scottish environmental organisations to our parliament in Edinburgh to demand a Scottish Environment Act that will ensure that these protections continue when we leave the EU. 3. setting clear targets for environmental protection that are matched with adequate financial resources. Follow the latest news through the #FightforScotlandsNature campaign on Twitter, or visit the campaign website for more information.